There is nothing better than a good escape. We all want to escape. We all try to escape. Hell, some of the greatest movies of all time are about escaping. The Shawshank Redemption, O Brother Where Art Thou, Escape from New York, The Fugitive, The Great Escape, and the list goes on. Right now, you’re sitting at your desk and instead of working on the Johnson account, you’re dreaming of escaping to a beach. And while the gang here at Team Ford can’t help you escape your job (unless, of course, you had a couple sticks of dynamite, a watermelon, and six feet of twine — but we’ll explain more later), we can help you get behind the wheel Ford’s 2019 Escape, which is the next best thing. And for Ford fans, the Escape is the next best thing. For starters, it’s Ford’s second best selling vehicle, only behind the mighty F-150. I mean, let’s face it, not everybody wants a truck. I know, I know, it’s blasphemy but it’s true. Whatever your reason for wanting to drive an SUV or CUV instead of a truck, whether it be emissions and mileage, sportier handling, or the need to fit into an underground parking stall, the Escape has you covered. Plus, it comes with the power of a truck — including a max towing capacity of 3,500 lbs (and just for comparison, that’s more than double the towing capacity of Honda and Toyota’s contributions to the segment). The 2019 Escape isn’t afraid of a little heavy lifting. Well, at least that’s all true of the 2018 Ford Escape. But the 2019 Escape, which has yet to hit the dealership, promises to have all that power and then some. Perhaps most exciting, are the changes to the Escape’s exterior. Spy shots of the new Escape show significant changes on the way — that is if you can decipher the shape of the vehicle under all of that camouflage (I’m surprised we could see it at all). We’re also willing to bet, with its position in the Ford lineup, that the Escape could see a third-row seating option. That just means you’ll have room for more friends on your adventures.  Whether you’re escaping the ordinary, or escaping prison, Team Ford has you covered with the Ford Escape. There’s nothing wrong with a little escapism, and the 2019 Ford Escape offers you the capability to get away at a moment’s notice. For more information about when the 2019 Escape is landing at our dealership, just fill out the form below.